Since this report isn't coming from the studio or anyone involved with the production, it should be regarded as a rumor for the time being. That said, this lines up with previous reports and makes sense, given the alleged production timeline. 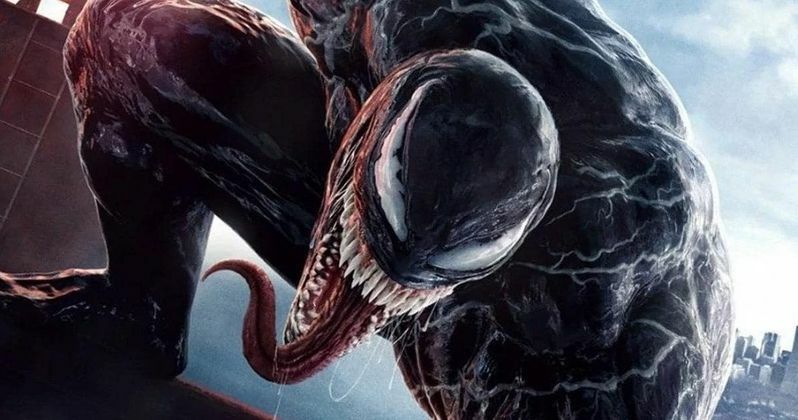 According to a new report, Venom 2 is gearing up to start production in November. That means, whoever is directing it, will have to spend at least a few months ahead of time prepping and doing pre-production work before cameras roll, which is why it seems Ruben Fleischer won't be returning. Currently, Ruben Fleischer is busy filming Zombieland: Double Tap, the long-awaited sequel to the 2009 horror/comedy. Its release is scheduled for October, which means Fleischer will be busy until roughly a month before Venom 2 is expected to begin shooting. That is a very tight window and seems a bit unrealistic. Not to mention that Fleischer jumped right from the first Venom into Zombieland 2, meaning he got little or no break between massive productions. As such, it would be a bit crazy to expect that he would do that again, even if Sony could find a way to make it work with scheduling. So, even though this hasn't been confirmed by the studio directly, it makes a great deal of sense. Undoubtedly, Sony would want Ruben Fleischer to return, if possible. Venom, despite being lambasted by a large majority of critics, went on to find huge success at the box office. It grossed $855 million worldwide, absolutely shattering expectations. Against its $100 million budget, that makes it a huge success for the studio and explains why they're not wasting any time in getting a sequel going. Now the question becomes, who will end up in the director's chair? Unfortunately, for now, there are no answers to that question, but the report states Sony is searching currently.